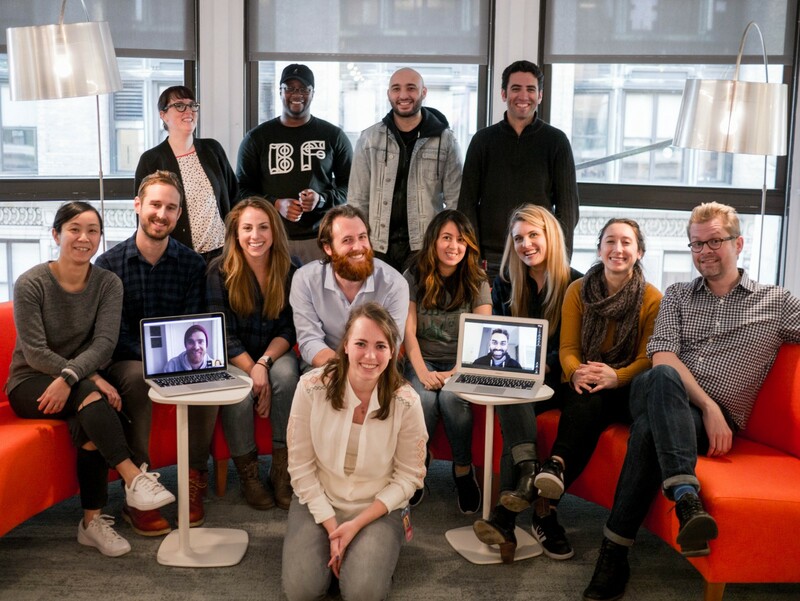 In spring of 2015, I left a job I loved to become a design manager at BuzzFeed, excited to tackle new challenges in a new organization. Having spent more than seven years in one place, it was naturally a bittersweet time. Reflecting back on my career, I felt grateful for the people that provided me opportunities and guided me through fifteen years of professional development. But despite this luck, there were times when it wasn’t clear what I needed to do in order to grow or level up, and sometimes I felt frustration that my bosses didn’t value my contributions as much as the people I worked with did. This is a natural feeling, especially early in a designer’s career. But as managers, we can provide a framework to ensure folks know whether or not they’re doing a good job, and what they need to do to move forward in their careers. When Cap joined BuzzFeed as its first V.P. of Design at the start of 2015, he quickly put into place some structures and processes that had served well in his previous role at Etsy. Weekly design crits were set up, a Basecamp team created to facilitate discussion and feedback loops, and he wrote a first pass at a roles and responsibilities document for the designers and design managers. By Cap’s own admission, this roles doc was merely a starting point — better than nothing—but not as clear and actionable as it could be, especially for the needs of a growing team. By the end of the year, some questions and confusion started to surface: were there clear bars set for each role? Did every designer and their manager understand how to meet that bar? Was it clear how to work towards the next level? One year in, we were due for some reassessment. In January, the design managers and a few designers from the team met off-site to discuss our processes and assumptions, in a process called Re-anchoring. One of the things confirmed in this discussion was that the roles document was too vague, and that designers didn’t have a clear understanding of how to level-up. And as managers, we didn’t always set a consistent bar across the team, especially for Sr. Designers. Set clear bars for each level, that designers and managers can work towards. Cluster responsibilities thematically, around areas of focus: Visual Design, Brand, Patterns, UX Design, Process, Toolkit, Transparency, Experiments, Fluency, Writing, Mentorship and Culture. First define the most senior role (Staff Designer – IC4), and then “back out” responsibilities each level down. Feel free to take this, fork it and evolve it for your organization! We’d love to hear how it goes, and send along any questions or other feedback. We’ve been posting process docs like this as we go, because we believe it’s important (and helpful for us) to share with the community. And we’ll probably evolve it as our team’s needs evolve! Near-sighted cat whisperer in New York City. Design Lead @Resy, previously Designer/Editor @NYTimes & Product Design Manager @Buzzfeed. Not just GIFs. Okay, mostly GIFs.